Home Archive by category "mod"
Here is the big brother, LEGO Technic 42093 Hot Rod RC mod with BuWizz power! This car has 2 M motors, a Servo, PF lights and a BuWizz unit. It even has a cool custom sticker pack! Check the product page for all the details & instructions! 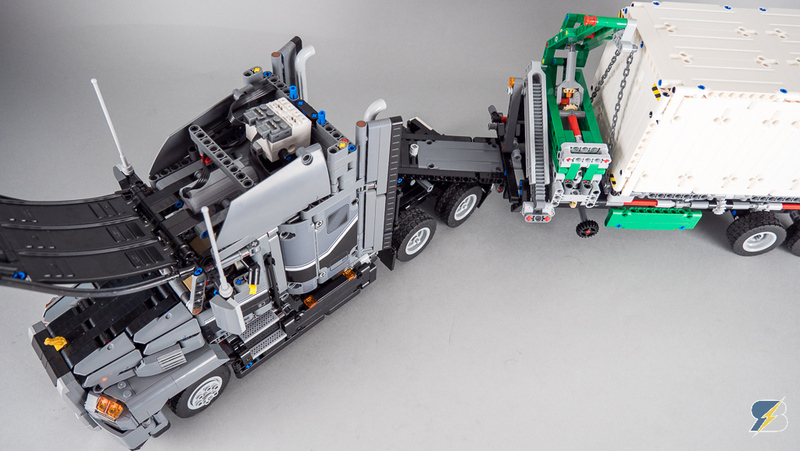 Remote control modification with building instructions for the LEGO® Technic 42079 Tow Truck (B model). This is a quick and fun remote control modification of the LEGO Technic 42083 Bugatti Chiron. The LEGO® Technic 42065 RC Tracked Racer is one of the rare sets that is remotely controllable out of the box with the necessary Power Functions elements. It is a very good introduction to the world of Power Functions, but it has some room for improvement – the speed is pretty decent but the climbing abilities can be enhanced.